Take care to tuck away the zip tang. Yes if you can't believe it either Aldi. Do. Motorcycle. Gear. And MCN Senior Reporter Jordan Gibbons tested this Aldi textile jacket and trousers over 300 miles to find what all the fuss was about. What’s good? Despite the bargain price, the general quality of the suit is pretty good. The fabric is strong, it’s well stitched and adequately finished. 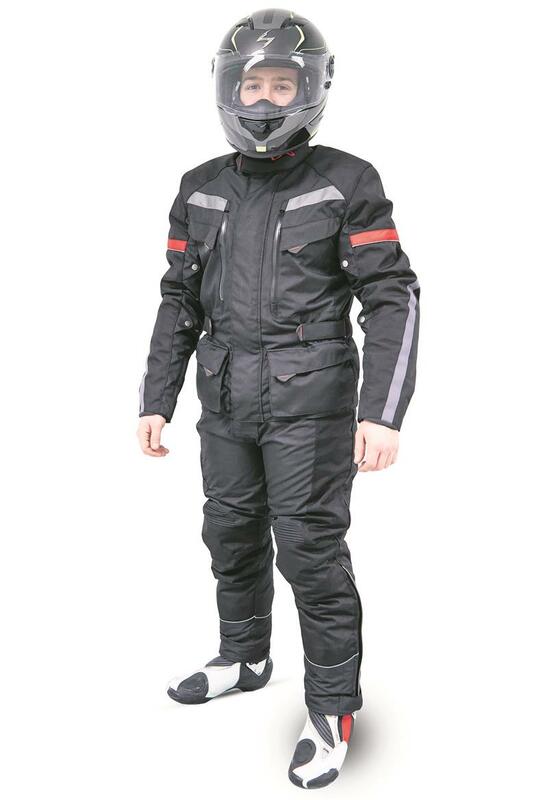 There’s protection too with knee, elbow, shoulder and back armour, which is all CE Level 2 approved. 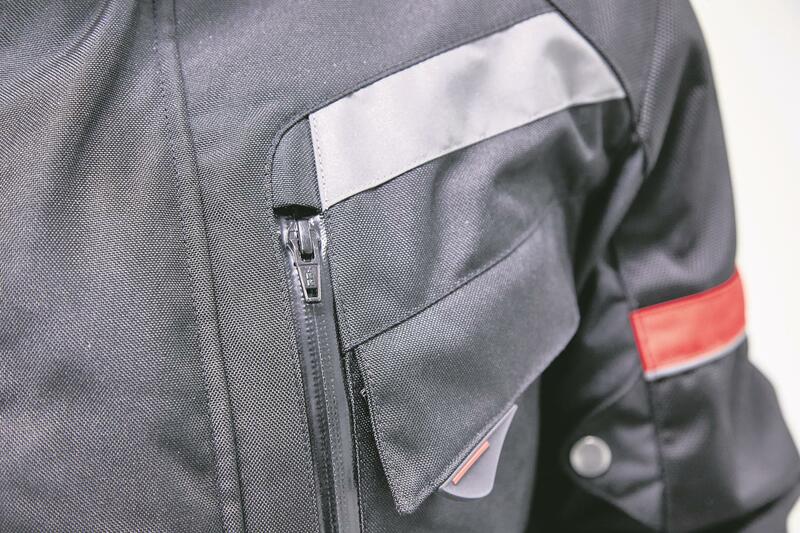 The jacket has four decent sized front pockets, along with a big map pocket on the back, and the trousers have two pockets at the waist, but would benefit from some on the thigh. Aldi say the fabric is waterproof to 10,000 metres and although I didn’t actually ride under the ocean, I did get caught in some heavy showers and nothing came through. The price paid is breathability though as even without a liner it’s plenty warm enough, but in the heat of a summer’s day I think you’d cook. What’s not? The jacket’s main issue is that it’s very heavy (3.4kg compared to the 2.2kg of my similar-spec Spada), which becomes a little fatiguing. 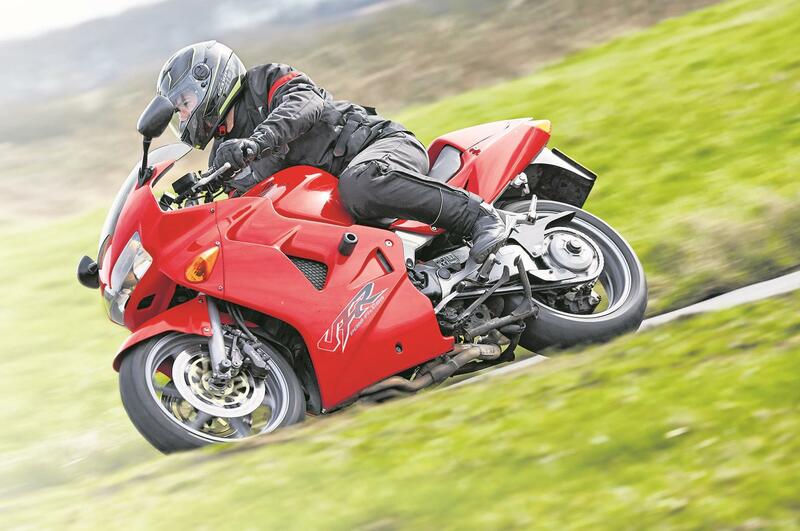 The biggest crime however is that the jacket has two uncovered metal zips, which put deep scratches in the tank of my VFR. The trousers have a few oddities. 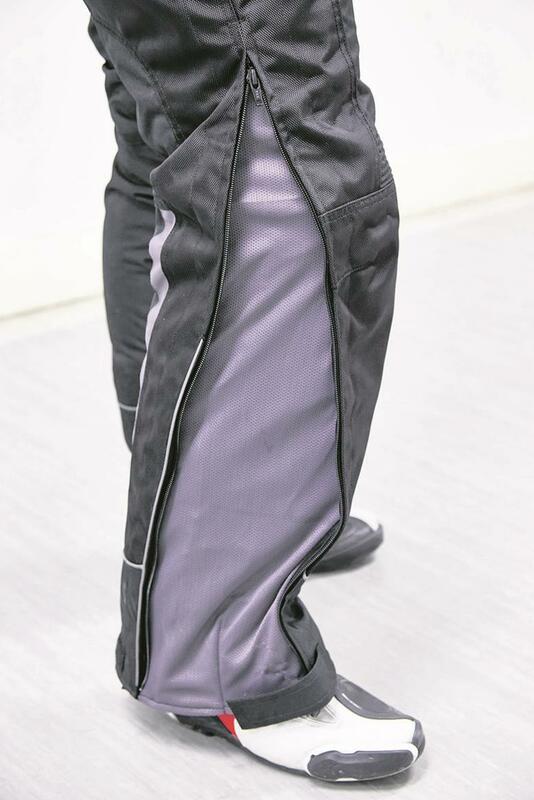 The leg zip comes up past the knee but it’s just a mesh panel, while the trouser leg opening is very small, so if you wear boots with armour on the shin the trousers won’t close up properly leaving a huge open vent. There’s also not enough stretchy material on the knee, so comfort suffers.